The makers of FTL: Faster Than Light have announced a brand new playable race of aliens for the upcoming Advanced Edition of the game. As FTL heads to the iPad, a whole bunch of new content will be heading to players. 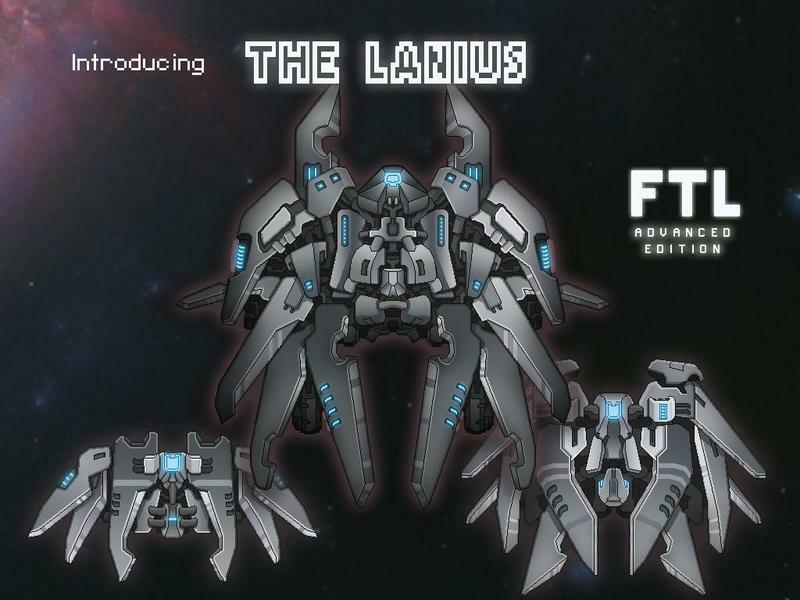 We talked about some of this content in a previous post, but now Justin Ma and Matthew Davis have announced The Lanius, a new race and ship for the game. If you own FTL on the PC platform, this Advanced Edition content will be yours for free when it arrives. It can be switched on and off, if you like, and will come in an update. iPad buyers will also get the content as part of their original package. As for the new race and ship? You can see it in the two shots above, but here’s a bit of the skinny from the official announcement. Individuals of the Lanius race do not require life support to live – they can survive in deep space unaided. In fact, their unique composition reacts strongly to artificial environments causing them to drain the oxygen within any compartment they inhabit. This is no doubt one reason they have had difficulty with diplomatic relations. The Lanius will drain the oxygen out of any room they’re in. That’s crazy, and it implies a lot of potential strategy for gameplay. You can learn more about the Advanced Edition of FTL by heading to the official announcement on the game’s site. The update is set to arrive alongside the iPad version of the game in early 2014.